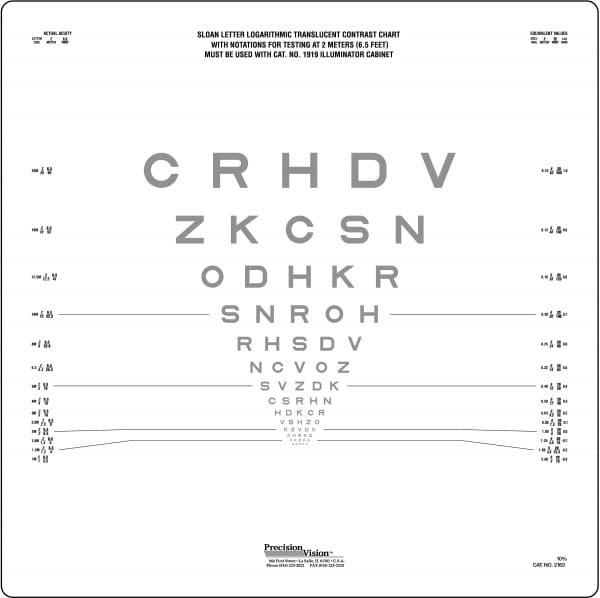 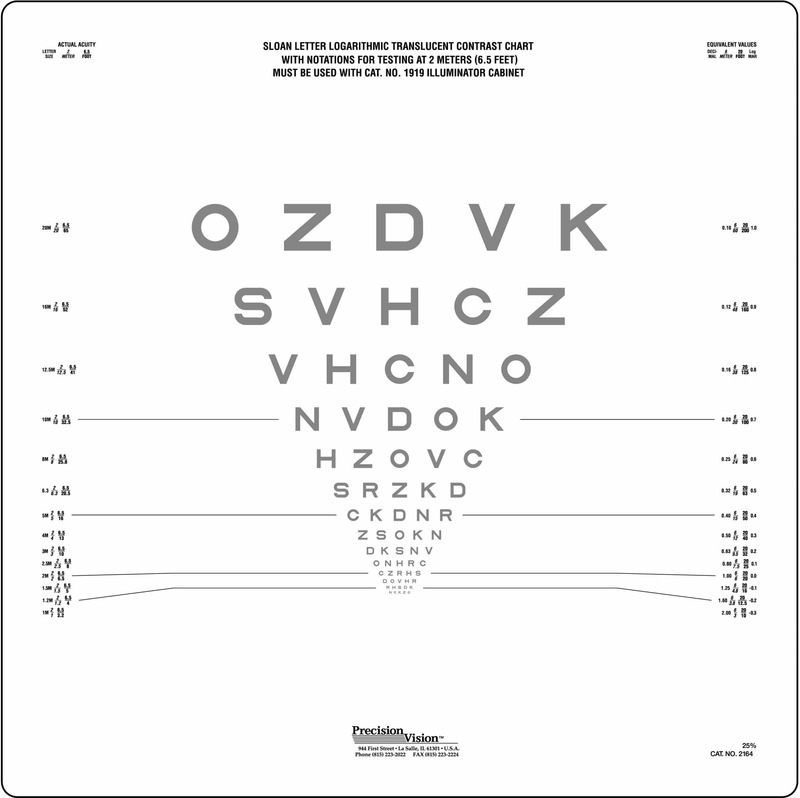 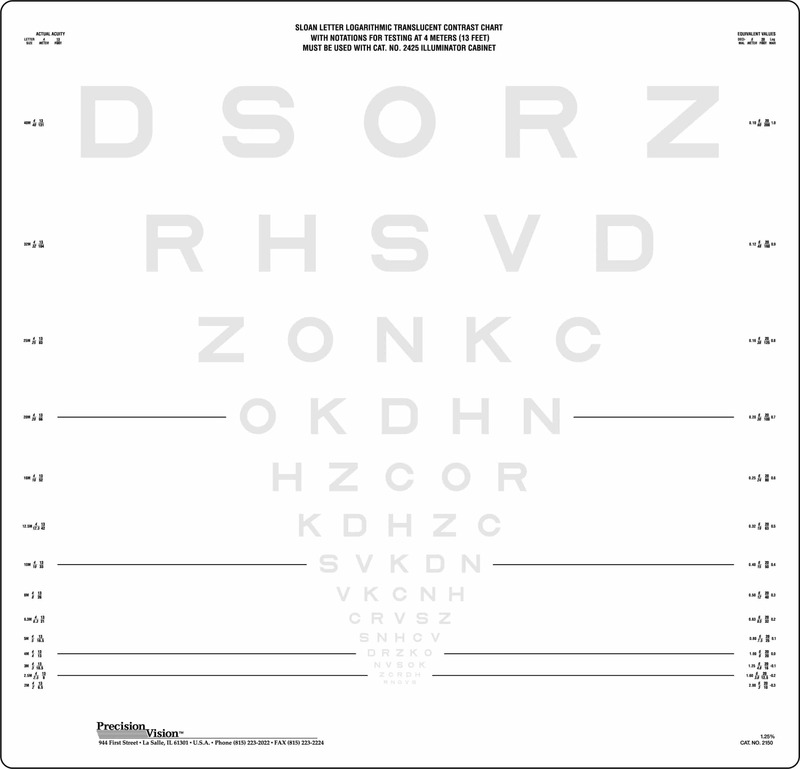 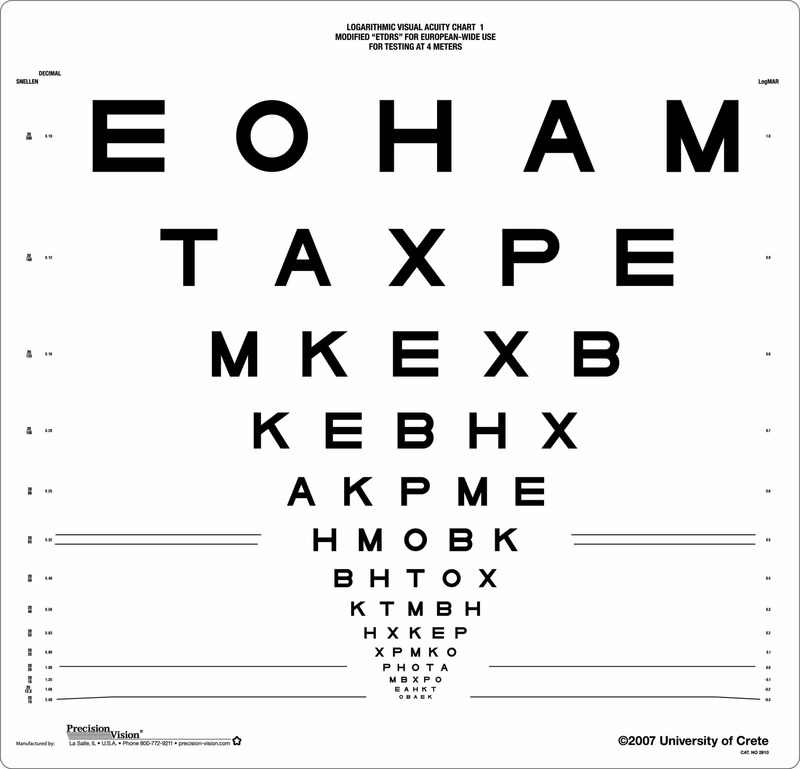 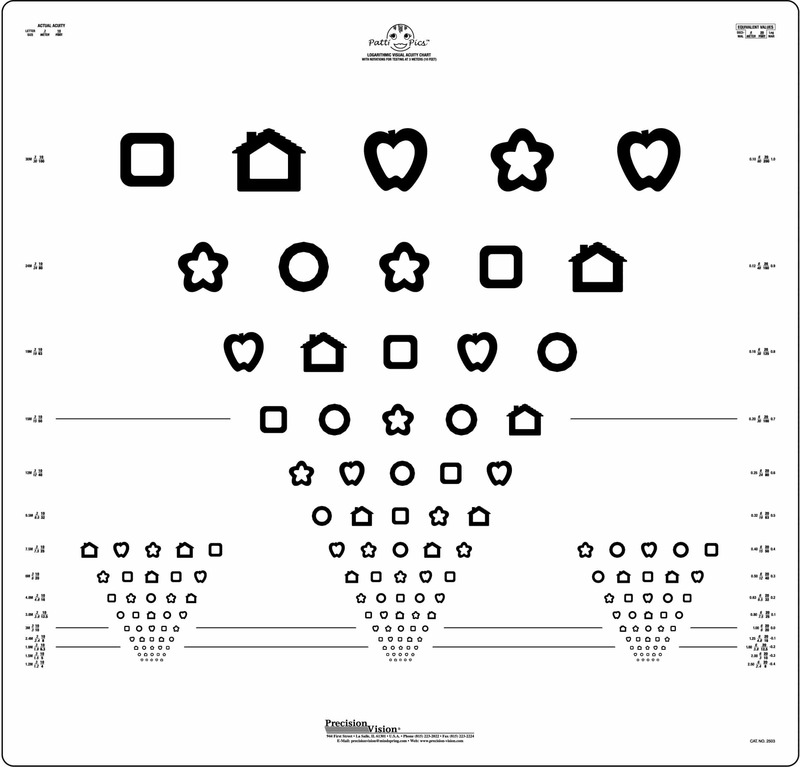 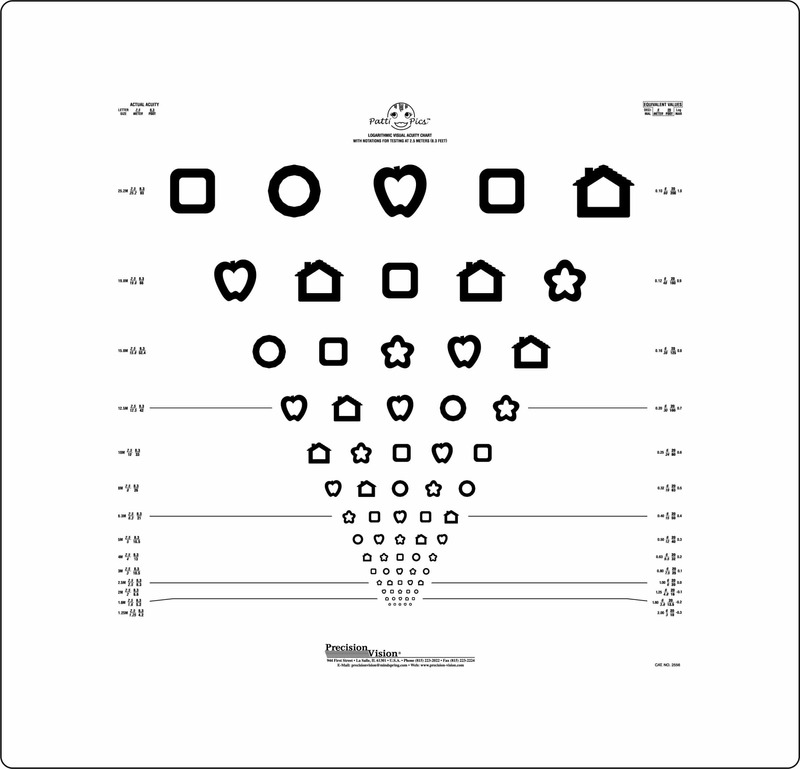 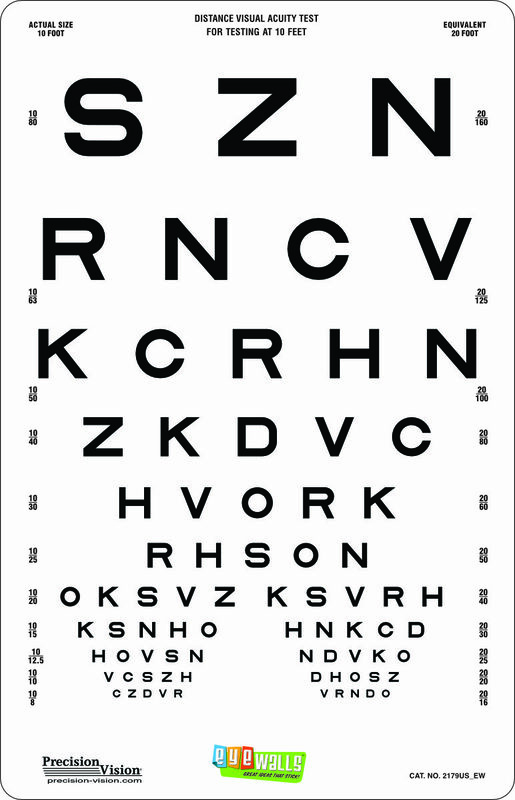 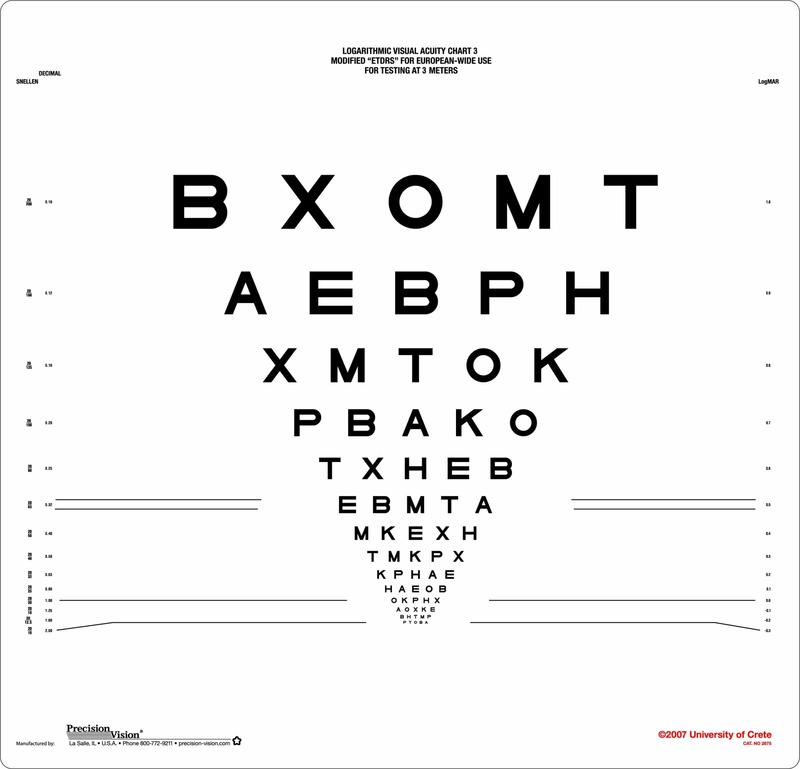 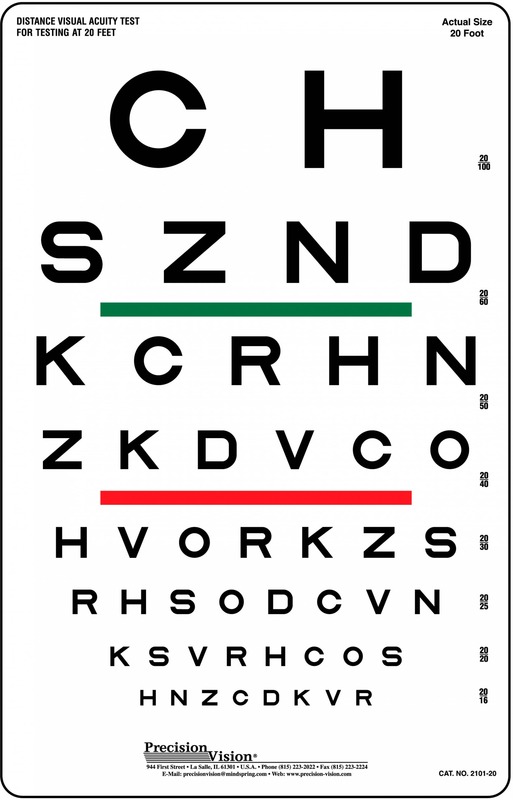 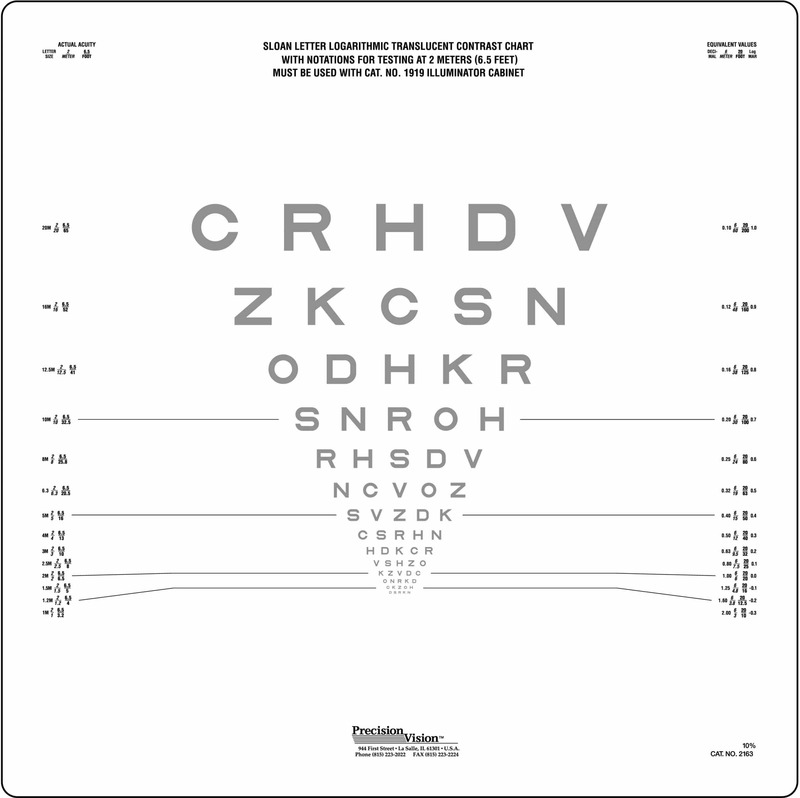 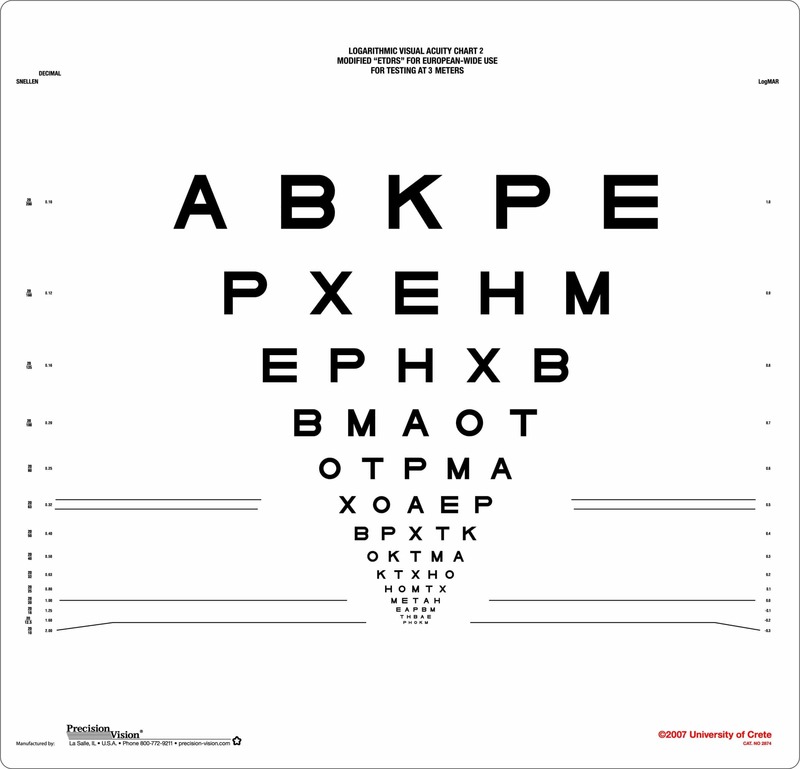 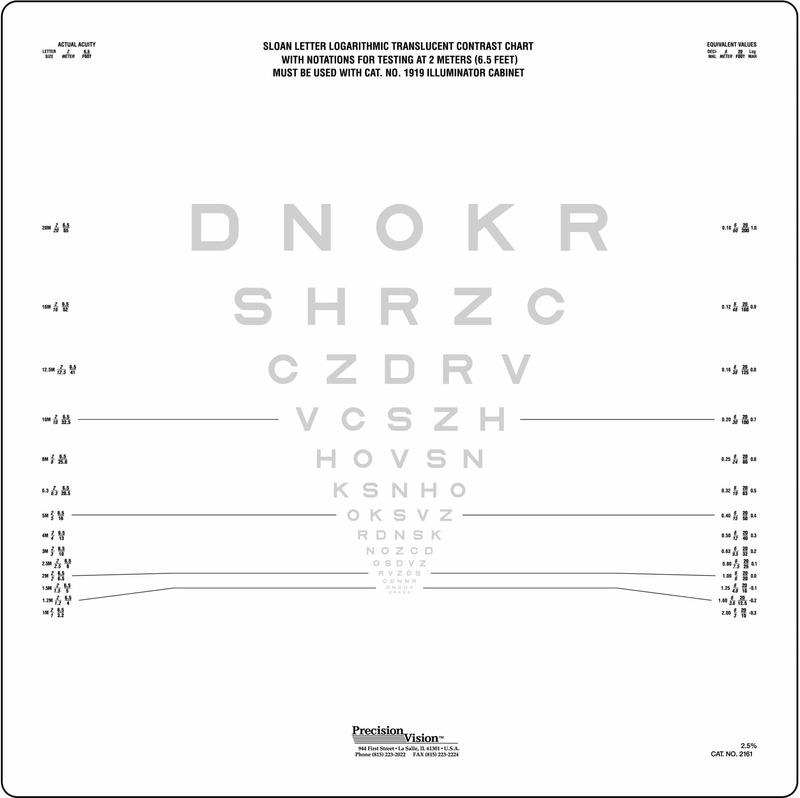 Sloan Contrast Sensitivity vision test includes universal equivalents on each side of the chart. 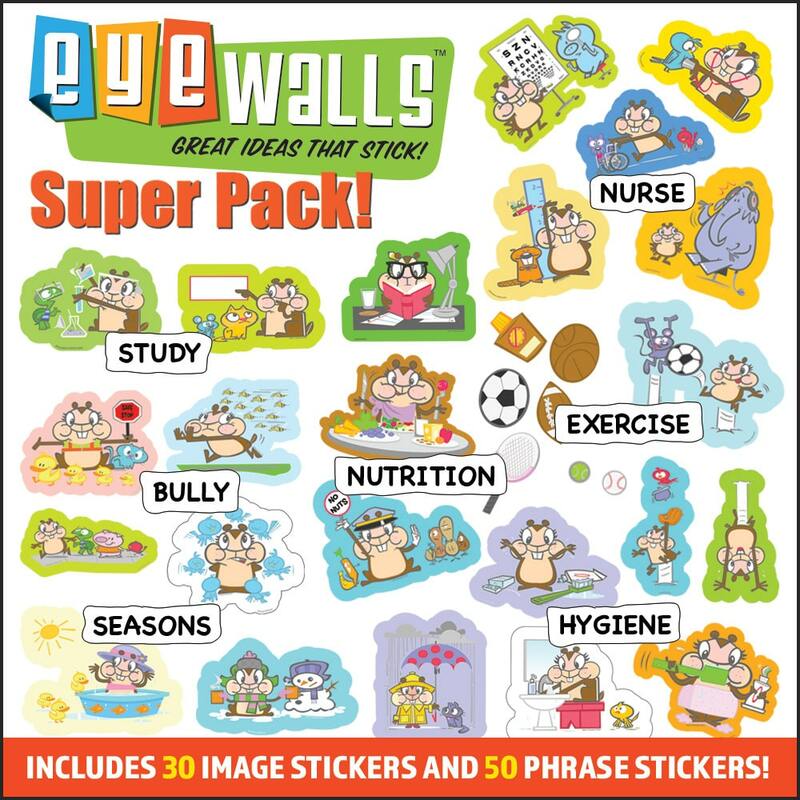 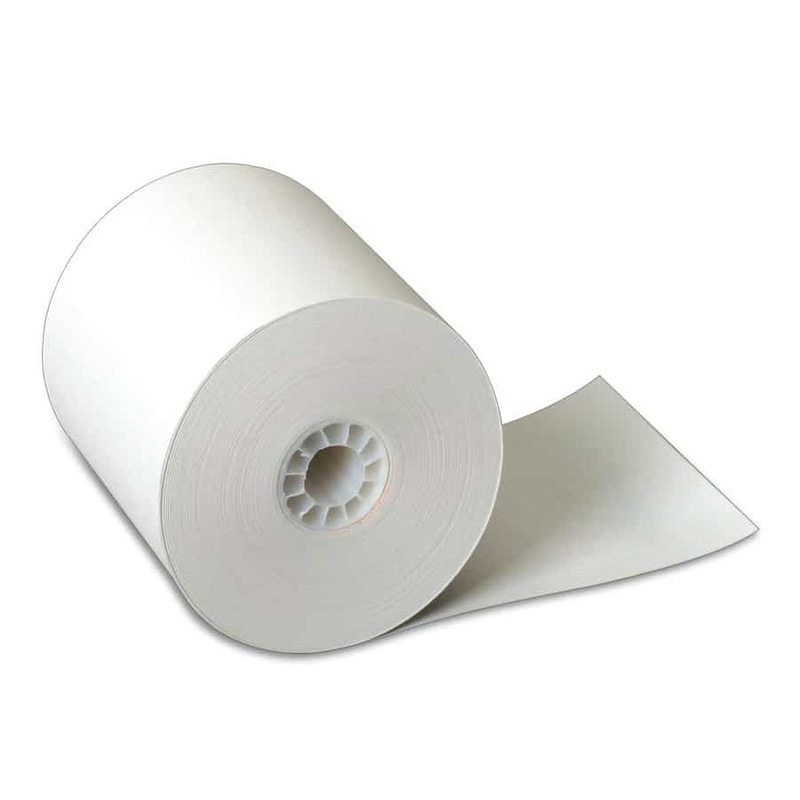 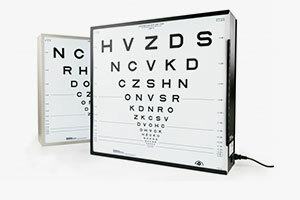 These equivalents help with easy and quick conversions. 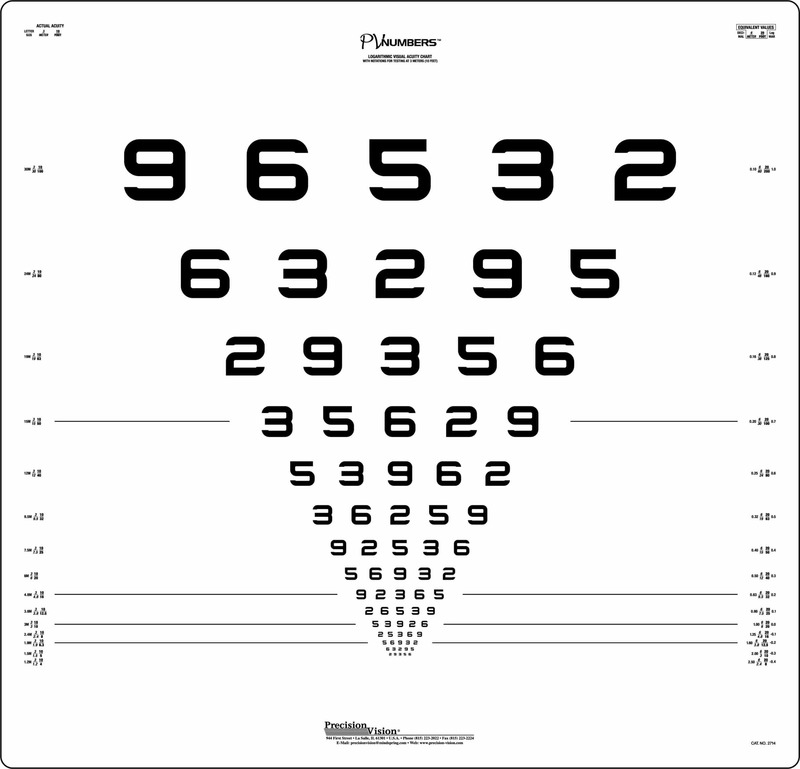 Equivalents include Meters, Feet, LogMar, and Decimal. 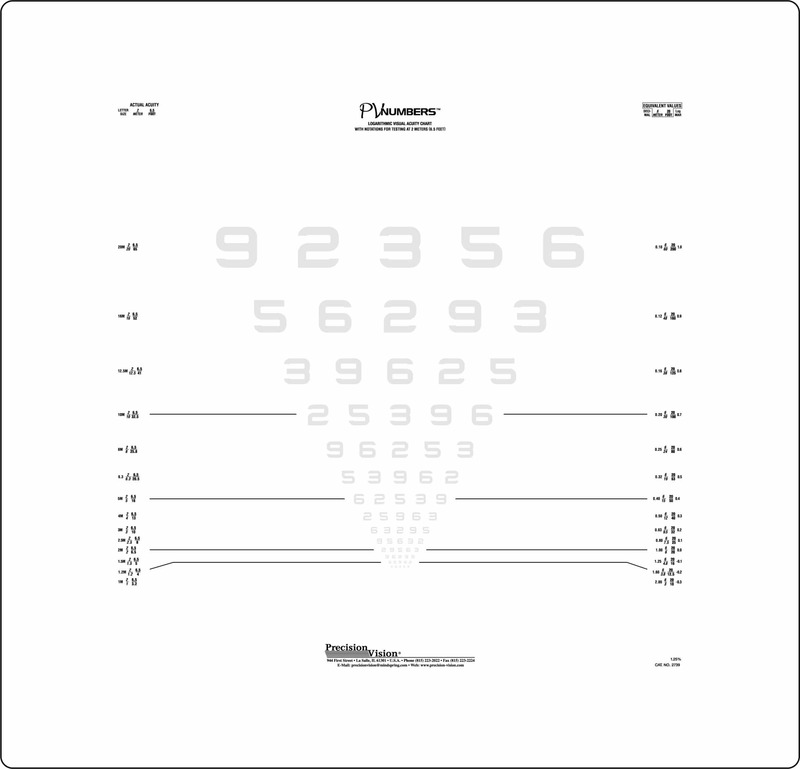 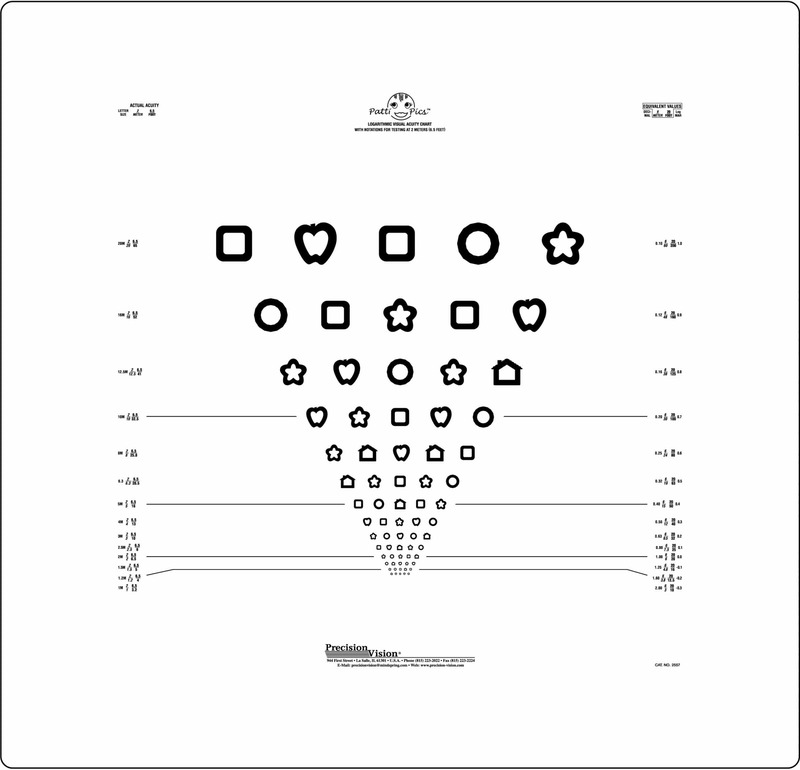 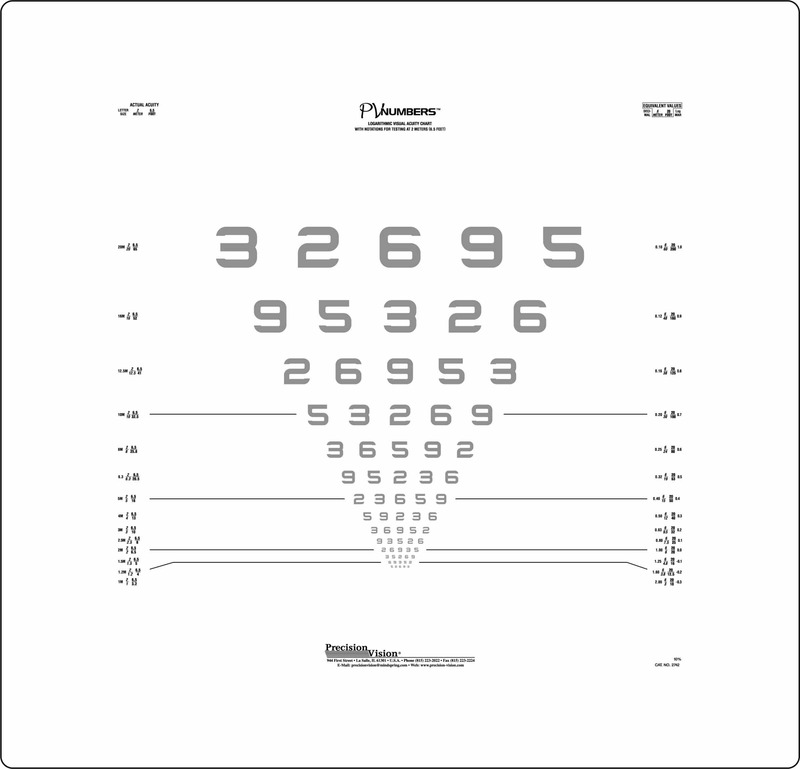 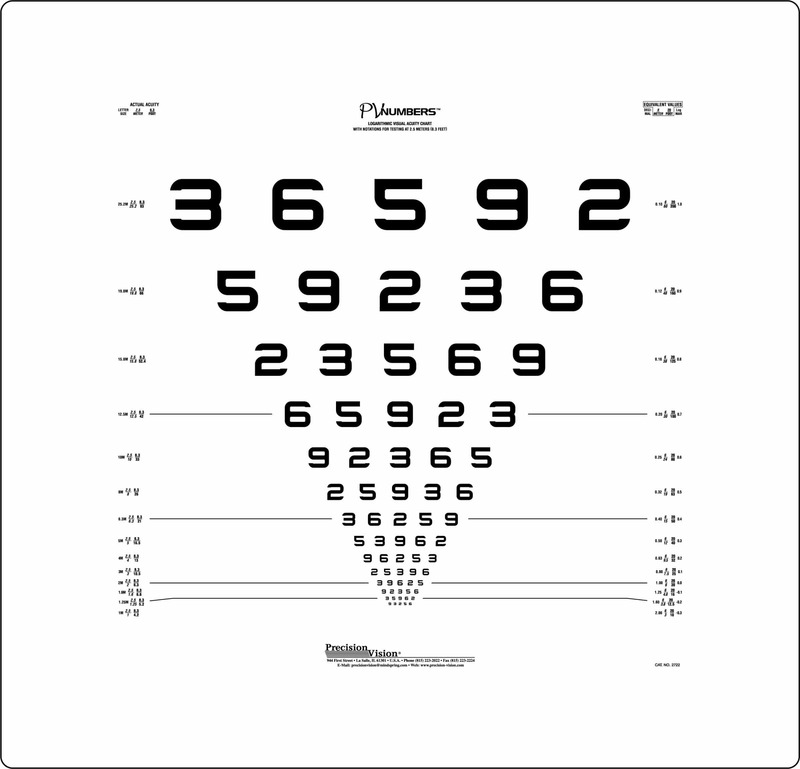 Precision Vision also offers The Introduction to Visual Acuity Measurement available for further conversions.